Last week, the House Intelligence Committee quietly voted to make available to fellow House members “a memo documenting abuse of the FISA program,” reports Fox News’ Chad Pergram. News of the FISA memo spread like wildfire on social media. Trump supporters pushed a #ReleaseTheMemo campaign after GOP Reps came forward demanding the document be released to the American public. On Tuesday, Rep. Adam Schiff (D-CA) and Senator Dianne Feinstein (D-CA) urged Twitter and Facebook to conduct a thorough forensic examination into the #ReleaseTheMemo campaign as ‘potentially an ongoing attack by Kremlin-linked social media actors’ also referred to as “Russian bots”. ABC News tweeted out the letter Schiff and Feinstein sent to Twitter CEO Jack Dorsey and Facebook CEO Mark Zuckerberg demanding a forensic examination into Twitter users who pushed the #ReleaseTheMemo campaign. The Gateway Pundit also contacted Rep. Schiff’s Burbank, California office Tuesday evening and left them a voicemail confirming we are not Russian bots and that we are demanding the FISA memo be released. 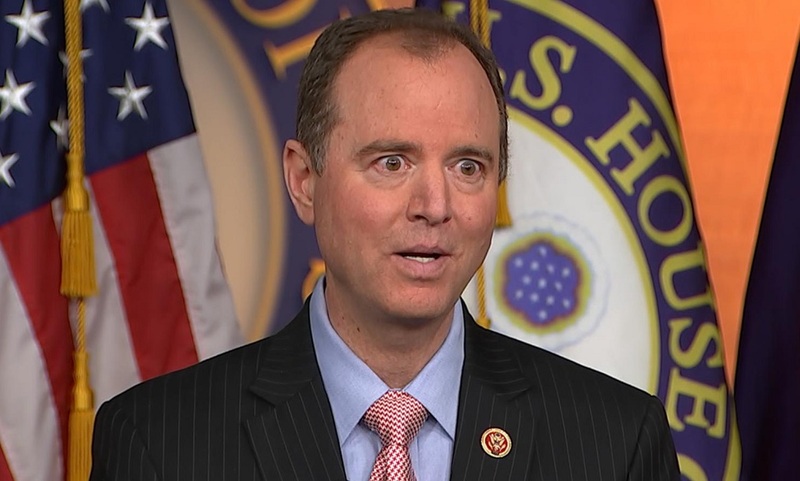 One Twitter user said Adam Schiff’s office is now hanging up on citizens calling to say they were not Russian bots. Read more at TGP. Adam Schiff’s office is now hanging up on citizens calling to say they are not Russian Bots. Other Twitter users said they also called Schiff’s office confirming they aren’t Russian bots. I’ve called everyday and got an side to answer. they ask for your name and zip code but tell them the memo is an American issue not just a Burbank issue. A very rude young man in AS office just hung up on me. After he talked over me and wouldn’t even let me finish a sentence. Adam Schiff 202-225-4176 – not accepting voicemail – email and tweet instead. I’m an EXDemocrat – NOT a BOT! I called hi #MexiFornia office and they answered! Just called #ReleaseTheMemo, and spoke to a very nice young lady. My husband just got through to Schiff’s office. Told them “Censorship is Communism! That he was an American Citizen and didnt eat Borst and drink Vodka!